At L & N Septic our clients enjoy the best septic pumping San Antonio has to offer. 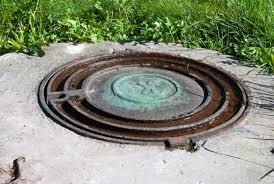 L & N Septic provides septic tank pumping for aerobic, conventional, or low-pressure dosing septic systems. With over 25 years of experience in the septic pumping industry L & N Septic guarantees quality workmanship, fast, friendly technicians and the latest waste water removal technology. Are Septic Systems Environmentally Friendly? Septic systems are among the most Green and Eco-friendly waste management systems available today. What Maintenance Do I Need Besides Septic Pumping? Beyond having your scheduled septic pumping, cleaning and maintenance is highly recommended to extend the lifetime of your septic tank. Keep your septic system running smoothly. A flooded drain field in your backyard is a smelly, dirty and expensive situation. This can occur if your septic system does not have the proper maintenance performed or is poorly installed. 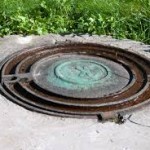 L & N Septic can help you re-register your septic system if you have not kept your septic pumping maintenance up-to-date. Waste water systems do require maintenance. The 400 CFM vacuum pumping system on our trucks will make quick work of your septic pumping needs. Please contact us for more information about septic pumping in San Antonio.